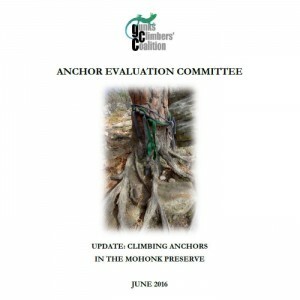 The Anchor Evaluation Committee was created to evaluate the highest priority rap anchors, formulate a plan, and work with the Mohonk Preserve to implement the plan. The team initiating the effort was Christian Fracchia, Dustin Portzline, Jason Hurwitz, and Jason Beaupre. This committee spent countless hours surveying climbs to determine the rap anchors causing the most environmental damage and presented their findings to the Mohonk Preserve. Read the blog posts below for the latest status. 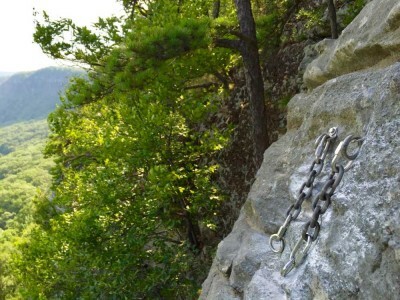 This is an update on activities relating to the bolted anchors on the Mohonk Preserve, centering around the Trapps cliff, and we hope to shed some light on the need and rationale behind these recent efforts. 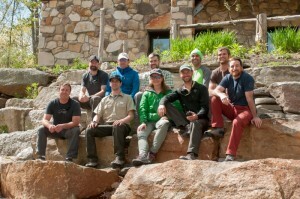 Mohonk Preserve rangers & Gunks Climbers' Coalition volunteers received pilot training in bolt anchor placement from the Petzl Technical Institute in May 2016. 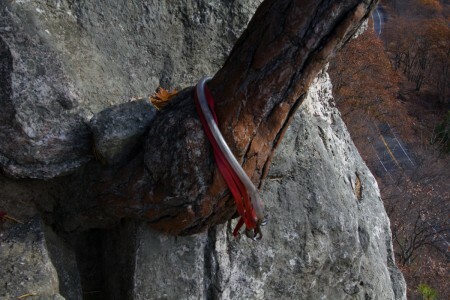 The GCC has been working with the Mohonk Preserve to place bolted rappel stations that help save trees, improve safety, and preserve the traditional climbing ethic. Nine new anchors were approved and installed this week. 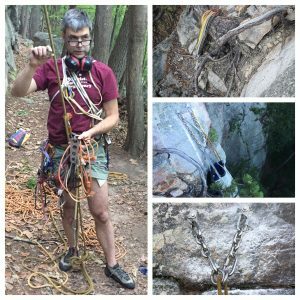 The GCC has been busy replacing dangerous old anchors at the Gunks. The Sixish anchor was found to have rotted, rusty pins, and Outer Space Direct had a complicated mess of old tat for an anchor. They have now been replaced with new, safer equipment. 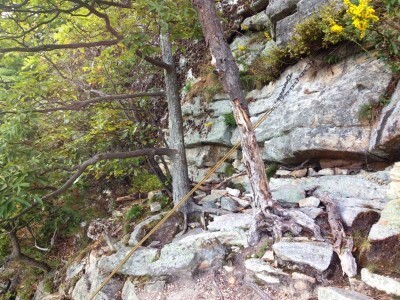 In an effort to reverse climber impact and erosion, the GCC Anchor Evaluation Committee with the Mohonk Preserve has removed high traffic tree anchors. Bolted Fixed Rappel Anchors have been installed and slope restoration areas have been roped off at the top of Jackie, Betty and Baby to move climber traffic to more durable rock surfaces. 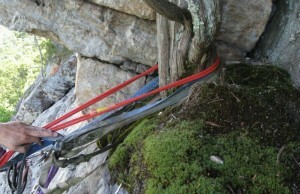 The Gunks Climbers’ Coalition has been working with the Mohonk Preserve to address rappel anchors. 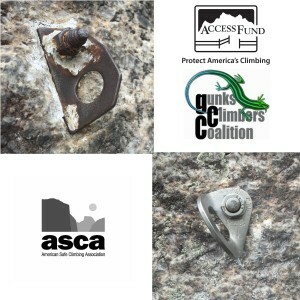 Specifically, the GCC is advocating for bolted anchors to replace tree rappel anchors where trees are suffering from climber impact. GCC – great work, and I support you! 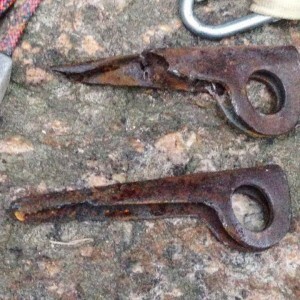 I’ve long wished for more bolted anchors at the Gunks!! But when you say you are working with Mohonk preserve on this, are they actually giving you any of the climbing fee money they collect at the gate and on memberships? I thought this kind of stuff was what it was for.